The bestselling, classic book on baking bread, from the “Dean of American Gastronomy”—featuring his 100 favorite recipes and variations. From Buttermilk White Bread to Whole-Meal Bread with Potatoes, and from Challah to Crumpets, Beard brings together recipes from across America and around the world. 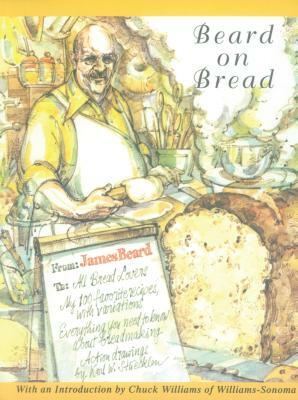 Including a 12-point list of remedies for improving one’s loaf, and a wonderful variety of different types of bread to bake—plain, whole-meal, and sweetened breads, batter breads, baking powder and soda breads, rolls, flat breads, filled breads, fried breads, and more—this is the only book the home baker needs in order to master the art of making bread.